Technology has given us amazing gifts and many of them are gifts that keep on giving. 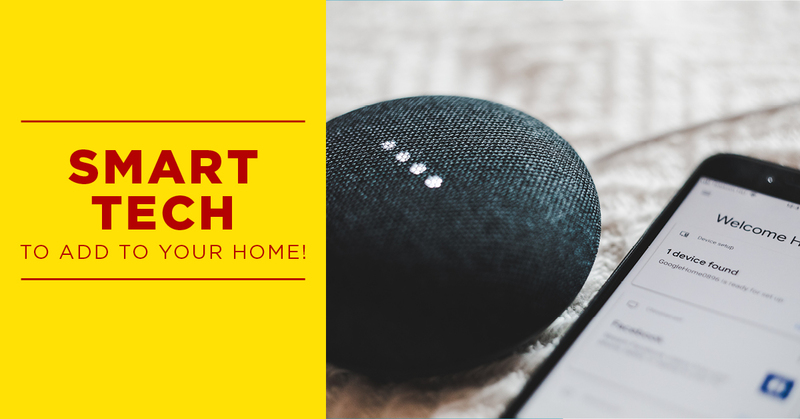 Tech in the home can save you a ton of time and money and even give you some peace of mind if you are particularly forgetful. These homebound gadgets may just be the extra help you’ve needed in your life. LED lights may be old news but the fact that you can control them from an app on your phone is a new frontier to explore. This is especially helpful when you’re in a hurry or forget to turn them off in the morning. Turning them on from the app can also warn off unwanted visitors when you are out of town to make it seem like there is someone home. Everyone can use a little more security. A thermal leak detector will give you an idea of where there are leaks in air ducts or windows. You will easily be able to detect where leaks are to be able to fix any insulation problems you may have. These have been known to save up to 20 percent on heating and AC bills. A bonus is that they can be used to check refrigerators, freezers, and car coolants as well. A smart thermostat will be able to show you what the temperature is in your home at all hours of the day. You can program the temperature accordingly and have the house nice and cool and/or warm when you arrive home after a long day. You can even focus on specific rooms and in the long run it can save you on utilities. In the summer it is difficult to keep that garden green in 100 degree weather. An Eve Aqua allows you to control your sprinkler system from your phone. If you forget to turn it on or leave for long periods of time this device can be a lifesaver for your Yard of the Month goal. If you get a surprise rain shower then its easy to simply turn off your system even if you aren’t near the house. My mother would absolutely faint for this. A ring video doorbell does just what the name says. Perfect to answer the pizza guy from your phone to let him know you’re running down the stairs now or to tell the UPS guy to leave the package under the porch chair. It even keeps you safe from those solicitors so you can pretend not to be home. There are so many gidgets and gadgets that have the potential to make life easier on us. It’s time to capitalize on all the tech life has to offer.